Time left to order the April box - SUBSCRIBE NOW! Unsure about subscribing? Grab one of our past boxes to see what all the fuss is about! Boxes are limited, so get them while you can. 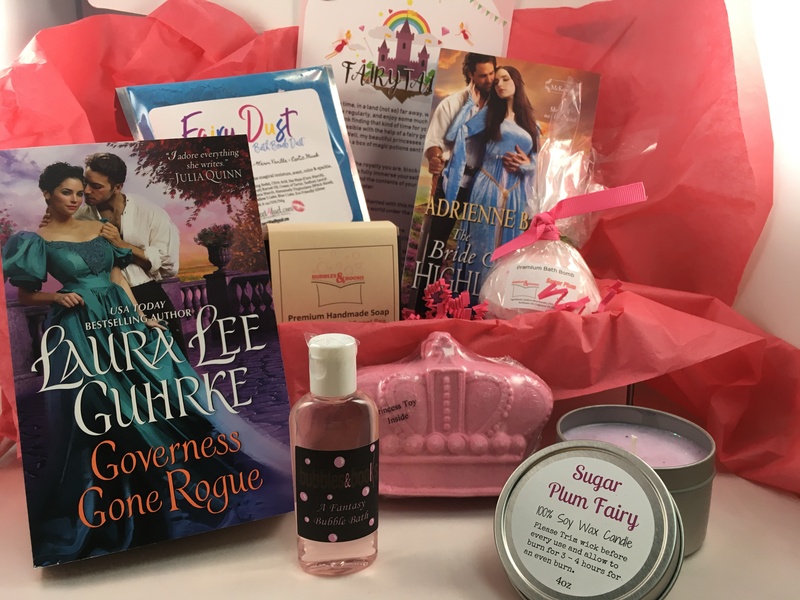 This is a one-time purchase of the January 2019 Swept Away (Historical) Premium "Fairytales" themed box. If you are interested in beginning a subscription or a 6/12 month plan, please click HERE to go to our main website. We frequently post updates, host contests, and give out coupon codes! Get social and come say hi! Copyright Bubbles & Books, 2018 All Rights Reserved.